There's no question a battle is going on for the soul of our nation. If you are a believer, you can see it in the news but also in the culture—sometimes even in our own families. Pundits would say the clash is between globalism and nationalism or between capitalism and socialism. As a Christian, I know this struggle is not just left versus right or Democrats versus Republicans. I believe it's between light and darkness, between good and evil. There's a spiritual nature to this conflict, which we call "spiritual warfare." This isn't just between people. In fact, the Bible says, "We wrestle not against flesh and blood, but against principalities, against powers, against the rulers of the darkness of this world, against spiritual wickedness in high places" (Eph. 6:12, KJV). And because it's spiritual in nature, it's up to those of us who understand spiritual things to stand against the darkness and pray for God to heal our land. What's really going on is unseen and unknown to most in our country—even to some believers whose spiritual eyes are not open or who choose to ignore this spiritual warfare. Yet like the sons of Issachar, who discerned the times (see 1 Chron. 12:32), God is calling those who are spiritual to do battle for our nation. God is raising up voices to help us know what is happening. One who does know is David Lane, a Christian activist who gathers pastors to motivate them to provide spiritual leadership in the public square. Recently, he told pastors in San Diego: "Anyone who thinks what's happening in America has anything to do with Republican versus Democrat is very confused. It is a spiritual war. Two distinct religions, Christianity and secularism, are vying for control over the public square in America. The immutable former and the ever-changing latter cannot coexist. One will ultimately go down as a consequence of the elevation of the other." Another example is my friend John Kilpatrick, who in mid-August preached at Church of His Presence in Daphne, Alabama, that witchcraft had been unleashed on Donald Trump. Kilpatrick is best known in Christian circles as the pastor of the five-year-long revival at Brownsville Assembly of God (also called the Pensacola Outpouring), which drew 4 million people. In his message, he referenced 1 Kings 19, when Jezebel unleashed a spirit of witchcraft against the prophet Elijah—the most powerful Old Testament prophet—and left him running for his life and feeling totally discouraged. Someone posted online a clip from the end of the service, when Kilpatrick called on his congregation to pray for the president. Within a week, almost a million people had watched it. Usually the press is oblivious to anything the Bible says about such things. However, when the sermon went viral, press from around the world began running stories. Newsweek's headline blared, "Pastor Prays for Trump to Defeat Deep State 'Witchcraft,' Speaks in Tongues." The article that followed said, "Kilpatrick connected America's current scourge of 'witchcraft' that is attacking the president to a biblical struggle in which Trump is in a 'showdown' for power with the shadows of the Deep State. In the video, Kilpatrick can be seen shouting and speaking in tongues as he prays for Trump to defeat the evil 'witchcraft' powers." Newsweek even quoted Kilpatrick, who said, "I don't know if you know this, and I don't know if you're going to believe me when I tell you this, but what's happening right now in America is witchcraft is trying to take this country over," prompting an audible response from his audience. "I am not being political, but I don't see how President Trump bears up under it," Kilpatrick said. "He is as strong as I have ever seen a man be. But here's what the Holy Spirit said to me last night, and here's what He said for me to tell you. He said, 'Tell the church that so far Trump has been dealing with Ahab. But Jezebel's fixing to step out from the shadows.' That's what the Lord said to me. ... He said, 'Pray for him now, because ... there's about to be a shift, and the deep state is about to manifest, and it's going to be a showdown like you can't believe.' So I'm coming to you as a prophet, as a man of God, and I'm telling you, it's time to pray for the president." Two days later, Aug. 21, Paul Manafort was convicted on several counts in a case brought against him by the Mueller investigation. The same day, Trump's former attorney Michael Cohen pleaded guilty to some minor charges. Suddenly the president was in even more hot water than usual. It seemed something had been unleashed, something that had been predicted just two days before by this pastor in Alabama. Somehow, what Kilpatrick said resonated with Christians all over the country. They perceived something was very wrong, but they couldn't put their finger on it. So when Kilpatrick said it was spiritual warfare and told them to pray, they understood what they were supposed to do. "Something's been unleashed in our nation," Kilpatrick told me. "It's like everyone is in a spiritual stupor. It's time for America to turn and repent. This is more than just political differences. Spirits have been unleashed, but if we humble ourselves and pray, God will bring that spirit down." Time will tell if Christians will heed the call to pray and whether, as Kilpatrick predicted, revival will come to America to heal its wounds, or Trump will be brought down by these huge unseen forces. But for me—and for millions of other Christians trying to understand where God is in all this—what Kilpatrick preached explains in spiritual terms the war that seems to be tearing this country apart. Most Charisma readers know that last year, I wrote God and Donald Trump. There were numerous books on this unlikely president, but none told the spiritual part of the story. I felt it was important to print the untold story about prophets who said God was raising up the New York billionaire as an answer to prayer. Now, a year later, my new book tells the story of not only the earthquake of his election but also the aftershocks of what's happened since. That includes not only topics like tax cuts and increasing military spending, but those that really matter to Christians, like religious liberty in the face of those who want to upend Christian values in our nation, moving the U.S. Embassy to Jerusalem and standing up for Christians who are being persecuted around the world. Writing these books on a topic so political and secular has given me an opportunity to include the Christian perspective and to share that millions of Christians feel the nation has been going in the wrong direction. The rhetoric we hear in the media, online or from friends and family reflects the tension building in our society. All across the country, ordinary Americans are joining forces and donating to candidates who've promised to challenge the direction our leaders have taken us for the past 40 years. In God and Donald Trump, I quote respected prophet Chuck Pierce, who said as early as 2008 that God would raise up Donald Trump. At his annual Head of the Year 5779 conference this September, Pierce told a crowd of thousands that there is a spiritual battle in America. "Hosea the prophet says this: 'My people are destroyed for lack of knowledge,'" Pierce said. "'Because you rejected knowledge, I also reject you from being priests. Because you have forgotten the law of your God, I forget your children.' We have to understand that we are in a precarious place as a nation. What it says is, 'If you remain ignorant about what is going on in your nation, I will have to reject your children. It might not affect you, but it will affect your children.' So I think what we saw God do recently, a couple of years ago, was say[ing], 'I really love this nation, and I'm going to start taking control of it, and redoing it, and getting it ready for the future.'" Pierce is not known to "be political." He prays. He flew to Israel to intercede on Election Day 2016 after he felt directed by the Lord to do so. During the George W. Bush administration, he and Dutch Sheets traveled to all 50 states to stir up believers to pray for this nation, which I also reported in my book. During that tour, Pierce felt the Lord tell him the next president would be an African-American who would have two terms. Even though some of his friends didn't like that word, he reminded them that, as Christians, we are called to pray for authority. "With prophets, we are called to say what will be," Pierce says. "I don't have a choice to be political and be Republican or Democrat. I have to choose to say, 'This must happen or else your children will be lost.' What we have heard here is a message saying God's hand has come down in America. Realign the nation covenantally with God's nation called Israel. This is so key for us to get as we move forward. And now hear me prophetically: Within three years, it is lost. I will go beyond what John Kilpatrick was saying. Without this shifting by February of next year, fully into place to get secure, in three years, this is lost." There is no mistaking the emotion or the intensity of those who were crying out for change. In the Christian community, millions were praying. Large gatherings such as TheCall, led by my friend Lou Engle, were not protesting anything but were publicly interceding for America and its need for revival. But prayer went beyond the huge gatherings; churches and individuals also prayed. My longtime friend Monica Nagy began a daily prayer phone call, which has gone on every day from 8 a.m. to 8:30 a.m. EST since the inauguration. She calls it "Praying Believers" and tells people the purpose is to "pray for our president and nation—decreeing and declaring that America will once again become one nation under God." Prayer warriors from all over the country join the daily call, which is under the leadership of pastor Dana Gammill, senior pastor of Cathedral of Life Church in Canton, Ohio. And although Nagy began her call after the inauguration, my friends Dr. Don and Mary Colbert started a daily conference call leading up to the election that included thousands or prayer warriors. I believe in the power of prayer. While many would discount the value of prayer meetings like this, I have no doubt that Donald Trump's election was an answer to Christians' prayers. At an Orlando meeting in August, Kenneth Copeland said the nation is in the mess it's in because too often, Christians did nothing. As far back as prayer and the Bible being taken out of schools in the early 1960s, Christians did nothing. The country has been sliding toward socialism, he says, and Donald Trump is working to keep out socialism. In spite of the criticism Trump seems to get from many circles, Copeland assured his partners that Trump is a good man who speaks for the common man. Though Copeland initially supported Ted Cruz, Copeland was invited to meet with Trump, where he laid hands on the future president and prayed God would give him wisdom. That prayer must have made an impression on Trump, because at a meeting at Trump Tower just prior to the election, he reportedly told Kenneth and Gloria Copeland that he enjoyed their program. I believe Donald Trump was raised up by God at this pivotal time in our history. There were political expressions of the changing mood of the country. But I believe something was happening spiritually. Christians were praying for things to change, and the New York real estate tycoon was actually an answer to prayer. Nothing quite like it had ever happened. Documenting this is why I wrote God and Donald Trump. None of the books about the election or Trump even touched on the spiritual aspects. Yet isn't the unseen spiritual realm really the most important? As Benjamin Franklin reminded the Continental Congress when it looked like the U.S. Constitution would not be ratified, doesn't God get involved in the affairs of man? I did more than 100 media interviews in conjunction with God and Donald Trump—most on Christian media, but some in secular media. In most of them, I talked about the supernatural if I could work it in. For example, I brought up prophecy, something which makes no sense to not only secular people but also some Protestants. I recounted how several modern-day prophets had predicted that, against all odds, Donald Trump would be the next president of the United States. This had happened as far back as 2007, and it's something I documented in the book. 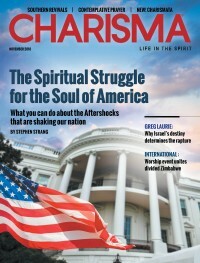 Months before the election, I wrote about the prophetic voices in this magazine and online. Those prophecies may have sounded ridiculous or impossible to some people, but Trump was elected, just as the prophets had said. The prophecies were one reason I had enough confidence to fly to New York for the election-night party. I know it seems crazy, but somehow, some way, God intervened in that election and saved us from "corrupt Hillary" becoming president. When I was interviewed about the book, secular television reporters asked me how evangelicals could bring themselves to vote for a man so flawed. I found myself saying that millions of Christians were praying that somehow God would shift the direction in which this nation is headed. I said God answered our prayers in a way we didn't expect with a person we didn't necessarily like. But once Trump began to implement his policies, we were sure we had made the right choice. As I've already mentioned, I didn't support Trump initially for the same reason some evangelicals still don't support him: His lifestyle and brash behavior were not what Christians want from their national leaders. As I've said on many occasions, I publicly endorsed Ted Cruz and supported him until the day he dropped out. By then, I had become aware of the comparisons between Donald Trump and the pagan Persian king Cyrus the Great, who let the Israelites return from captivity to Jerusalem. If God could use Cyrus (and many other imperfect leaders in the Bible), why should I question him using someone as imperfect as Donald Trump? During an interview on CBN's 700 Club on June 21, 2018, Anne Graham Lotz, Billy Graham's daughter and Franklin Graham's sister, agreed. "I know we have issues with the way he expresses himself," Lotz said. "But his policies have been stunningly supportive of biblical values. Right now, he has my applause and my prayers ... because I think he's in a very dangerous place. You can feel the enemy trying to tear him to shreds, including his policies that have taken a stand on biblical values." Addressing the apparent lack of faith in the younger generation, Lotz said she felt that part of the problem is that "Christian parents have not passed on the truth that leads to faith to their children. Maybe we left it up to the churches or to the professionals, and we didn't do it ourselves. But something is disconnected because, instead of the nation getting better, we've gotten worse. We've gotten farther away from God's Word. And it could be that, in response to what my father did, talking about spiritual warfare, [the devil has] just come in like a flood to try to undo any impact from my father's ministry or other people's ministries or the church. But we know in the end that we'll be triumphant." Family Talk Radio's Dr. James Dobson, whom I interviewed for Trump Aftershock, says the solution to the culture war is spiritual. "Most of the contentious issues that divide us are rooted in Scripture and theology," Dobson says. "Those of us on the conservative side aren't dealing with mere differences of opinion. We are trying to live by standards that are eternal and 'God-breathed.' Those principles are not negotiable. We must, however, defend them within the context of love for our fellow human beings. That is a given for followers of Jesus Christ. Our task is to defend our beliefs without insulting or wounding those with whom we disagree." America stands again at a precipice. God is leading us to make better choices, just as He did with Israel. Moses and his people continued to wander in their comfortable, desolate wilderness and missed God's direction. Get involved. Speak up to friends and family. Complain when media or others espouse principles that violate Judeo-Christian beliefs. Get your pastor to mobilize your church to be involved. Join other interceptors. There are many groups. I recommend POTUS Shield, created by pastor Frank Amedia, which sends out prayer alerts if you text 313131 and in the message type "PotusShield." You can also call 641-715-0715 every weekday from 8-8:30 a.m. EST to pray with Monica Nagy. (Use the code: 436372#.) There's also an affiliated Facebook page called "Praying Believers." Vote and become a Christian values activist. Remember that James said, "Faith without works is dead" (James 2:20b). Kenneth Copeland reminds us we're in the mess we're in because Christians did nothing for too long. Support godly candidates when you can. Support officials who respect our values and oppose those who don't. Last but not least, pray. Intercede and pull down spiritual darkness. Books like John Eckhardt's Prayers That Rout Demons help you know how. The unbelievers can't. Nominal and liberal Christians won't. So it's left to those empowered by the Spirit of God, whose eyes have been opened to spiritual darkness, to stand in the gap for this nation. So what's the answer? I believe peace and harmony as a people will only be achieved if another Great Awakening-type revival sweeps America in a spirit of repentance and commitment. Will this occur in light of waning church attendance and a generation of Millennials who seem less interested in matters of faith than their grandparents and other forebears? I don't know. Revivals happened in earlier times, including the great Azusa Street Revival, the forerunner to the charismatic movement. Can it happen again? This should be our prayer for America and the world. That would be the ultimate spiritual aftershock. 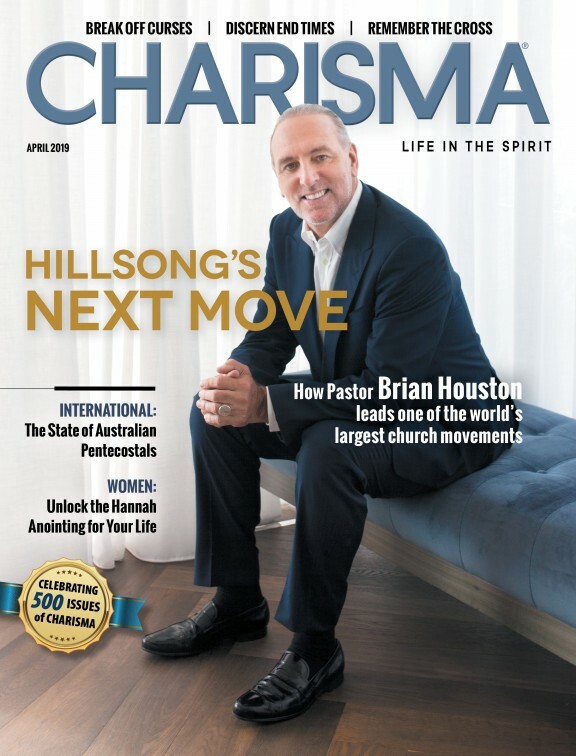 Stephen Strang is the founding editor and publisher of Charisma and CEO of Charisma Media. He is the author of the best-selling book God and Donald Trump (FrontLine/Charisma House). His new book, Trump Aftershock, released nationwide Nov. 6, 2018.